The 2nd seed Los Angeles Dodgers play the 1st seed Milwaukee Brewers in the 2018 NLCS. The Dodgers did extremely well in the NLDS. They shut out the Braves in the first two games at Dodger Stadium, then had a few clutch hits in game four to overcome a game three Braves win. Shortstop Manny Machado hit a three-run home run and an RBI double in that game, batting in four of the six runs. Game two, however, was carried by Clayton Kershaw, who pitched for eight innings and gave up only two hits, shutting out Atlanta for a 3-0 win and making the Dodgers the first team since the 1921 Yankees to start a postseason with back-to-back shutouts. LA can roll confidently into the NLCS knowing that there is only one more team to beat in order to win a second straight NL pennant. That one team is the Milwaukee Brewers. The Brewers obliterated the Colorado Rockies, sweeping them with ease and only giving up two runs the entire series. A walk-off single by third baseman Mike Moustakas earned a game one win, and then the pitching took over, shutting out the Rox in games two and three to get the Brewers first postseason sweep in history. The red-hot Brew Crew are on an 11 game winning streak, having not lost a game since Sep. 22 against the Pittsburgh Pirates. This will prove challenging for the Dodgers, who do not have a home-field advantage this time. 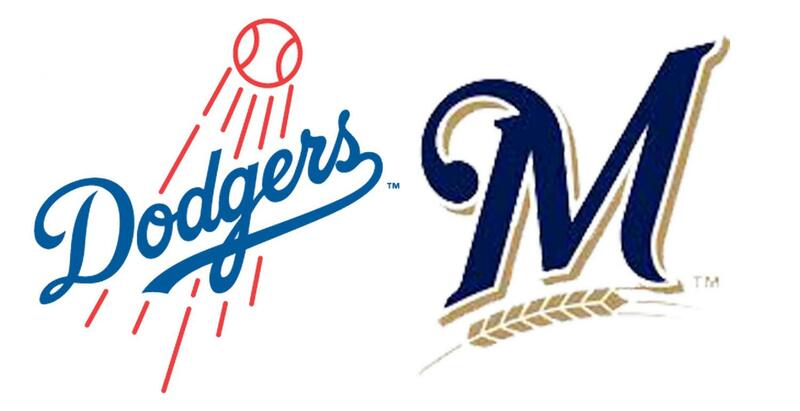 If Milwaukee wins, they can prove to be a tough opponent against the American League champion. The first game of this seven game series is Friday, Oct. 12 at Miller Park, Milwaukee.